It is so simple, a meal of bread and wine shared around a table. And yet, this meal has formed the foundation of the Christian life and practice for thousands of years. Whether known as Holy Communion, the Lord’s Supper, or the Eucharist, it is a central act for us a community, and it is from this weekly gathered meal that our common life extends. And because Jesus consistently shared his meals with those on the margins, with those on the outside looking in, we continue this practice in the belief that, “All who seek Christ are welcome at God’s table.” To share in what is known as the Great Thanksgiving (“Eucharist” comes from the Greek word, to give thanks), you are not required to be a member of All Souls or an Episcopalian. If you are drawn to the life of Christ, you are welcome to receive the bread and wine of communion. We encourage children from the earliest ages to receive, for, as Jesus said, “Let the children come to me and do not prevent them. 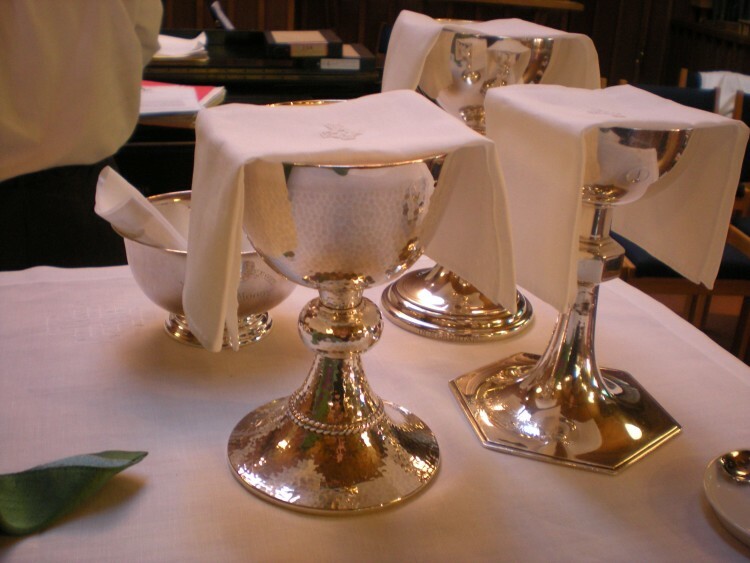 For to such belongs the Kingdom of God.” Alongside the home-baked bread and wine, there is a grape juice chalice for those who require it and non-gluten bread upon request. Come, take and eat.